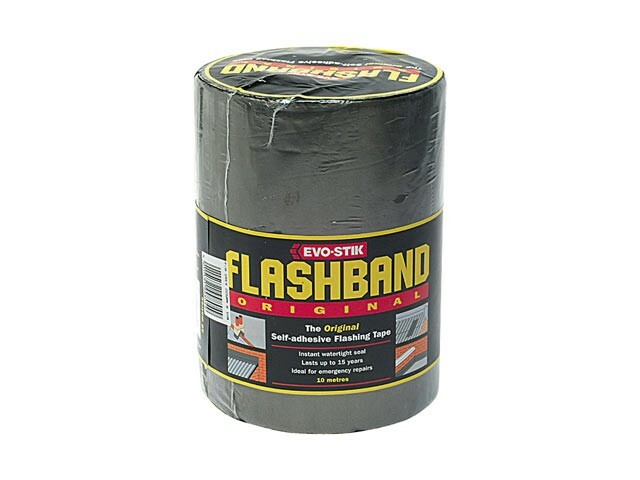 Evo-Stik Flashband is a self-adhesive flashing strip giving an instant watertight seal. Excellent adhesion to a wide range of building materials. Quick and easy-to-use, ideal for emergencies.